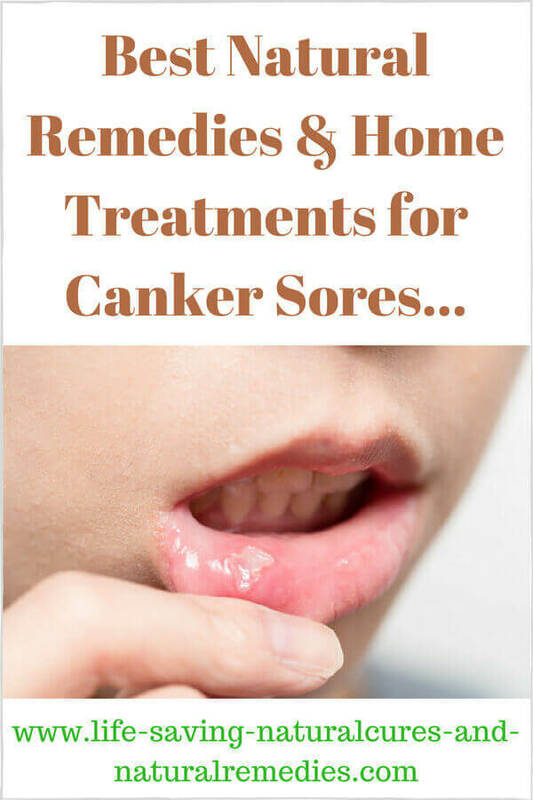 10 Powerful Home Remedies for Canker Sores That Work Fast! Canker sores are painful little buggers. They can make it extremely difficult to eat or drink anything... and if you happen to have something like an orange or other citrus fruit, or salty food… look out! Even cleaning your teeth is a painful experience when you have a mouth ulcer. And it doesn’t need to be a big one either. Even the small canker sores will still test your pain threshold! So what actually causes cold sores or canker sores? Low immunity and nutritional deficiencies are the number one reason. Stress is the second most popular cause (which then lowers your immune system), along with viral infections. Eating too many refined and processed foods (refined sugars especially) is another major cause. Canker sores will usually disappear on their own within 10-14 days. But who wants to wait that long? Thankfully, you don’t have to. You can easily get rid of a mouth ulcer with 24-48 hours if you use the right home remedies. In addition to this, you don’t just want to get rid of the canker sore you have right now, you want to prevent more of these rotten sods from occurring in the future right? That’s what these top 10 home remedies will do. ACV works a treat for canker sores and should definitely be your first "go to" remedy - but you do need to be mindful of how you use it. Don't rinse your entire mouth with ACV, instead, take a Q-tip or cotton bud and soak it in some organic apple cider vinegar then place it on your canker sore and hold for one to two minutes. It will sting at first, however, the pain will quickly subside and the ulcer will go numb. Continue to do this 3-4 times throughout the day and your canker sore will be gone in a few days. To keep canker sores away, we also recommend that you drink organic ACV with the "mother" apple (such as this one) every day. Apple cider vinegar contains the essential nutrients that prevent canker sores from forming, plus it becomes alkaline once it enters the body (positive pH) and keeping your pH in the positive range stops canker sores and cold sores from developing. In addition, drinking the ACV when you have a canker sore also helps to speed up the healing process, so definitely make sure you do this. Simply add a tablespoon of raw organic ACV to a glass of warm filtered water. Add a teaspoon of natural honey for taste if desired. Thoroughly mix and drink down. Do this 3 times per day, particularly first thing in the morning and before retiring to bed. TIP: Drinking the apple cider vinegar liquid when you have a mouth ulcer can sting. If this proves to be the case, we recommend you take the ACV capsules instead - at least until your canker sore has healed. Alum powder is made up of aluminium sulphate and is a sure-fix remedy for canker sores. It naturally cleans the sore of bacteria and infection, along with relieving the pain and inflammation. Once again, the down side to this treatment is it will sting when first applied (and it doesn't taste the best). But it will also numb your mouth ulcer afterwards and speed up the healing process substantially. You can find alum powder in the spice section of your supermarket or online from places such as Amazon... Hoosier Hill Alum Powder. To use, moisten the tip of your finger and dip it in the powder. Apply and hold your finger to your canker sore for 2-3 minutes. Rinse your mouth out afterwards. For best results, do this 3 times daily. If you stick to this regimen your canker sore will usually vanish completely within 24-48 hours. NOTE: Many people are scared to try this remedy because alum powder is technically aluminium and aluminium is known to contribute to the development of Alzheimer's disease. However, there is nothing to fear. The amount of aluminium sulphate used is very small and no toxic effects have ever been reported from this powder. This ingredient has also been used to pickle foods for years with no ill effects. Baking soda works the same as alum powder. It's alkaline so it neutralizes the acids and bacteria that cause canker sores. Make a paste with some baking soda and a small amount of water. Apply directly to your mouth ulcer and leave on for a few minutes. Rinse your mouth afterwards. In addition to using this as a topical remedy, you can also take baking soda internally to boost your immunity. Like apple cider vinegar, baking soda is a potent pH booster, so it also makes the body alkaline. Remember, once the body is alkaline, healing occurs very quickly. All you do is add 1/4 teaspoon to your apple cider vinegar mix (be mindful of the initial fizz). Or if you're taking the ACV capsules, simply add a quarter of a teaspoon to a glass of water and drink down. Just make sure you combine the baking soda with the ACV for maximum benefit and effect. The idea of the baking soda is to give your body's pH level an initial sharp boost, so you only have it for a maximum of two weeks before dropping it (you don't drop the apple cider vinegar though). After this, you only need to take the baking soda every few months if you feel you need a quick immune boost. This powerful amino acid works a treat for both clearing up a canker sore quickly AND preventing further ones. In fact, most alternative health professionals routinely prescribe lysine, along with zinc, to people who regularly suffer from mouth ulcers. You can purchase L-lysine online or from your local health food store. Take 2000 mg's daily until your canker sore clears up, then drop down to 1000 mg's per day as a maintenance dose to prevent further sores from developing. You can also buy lysine with added immune boosting herbs as well. These also make an excellent "permanent" supplement to boost your immunity and keep canker sores away. Here's one that we recommend if you're interested... Quantum Super Lysine. For zinc, either liquid colloidal zinc or chelated zinc is the best. Once again, you can find these online or at your local health food store. Aspirin is a highly effective natural remedy for canker sores - and it can be used by both adults and kids. Plus, it's dirt cheap and can be used straight away if you already have some in your medicine cabinet. Because aspirin is a strong pain reliever, it takes the pain away from the sore very quickly, along with promoting rapid healing. Using either one adult or baby aspirin tablet (depending on the person), crush it between two spoons then sprinkle the powder on your canker sore. Let it slowly dissolve. Remember not to exceed the recommended daily dose of aspirin either. This is extremely important as aspirin will absorb through the mouth into the body the same as if you take it orally. Hydrogen peroxide is a strong disinfectant and will help to kill the toxic bacteria that's causing your mouth ulcer. Use the 3% food grade hydrogen peroxide for best results and either dab some directly on the canker sore (until it stops bubbling) with a Q-tip or cotton bud, or swish 2-3 tablespoons in your mouth for 30-60 seconds. Spit out and repeat 2-3 times throughout the day. Make sure you don't swallow the hydrogen peroxide and rinse your mouth out well with water afterwards. You'll notice your canker sore(s) more noticeably improved and much less painful within 24 hours. They should disappear completely within 48-72 hours. Coconut oil is a powerful anti-bacterial and anti-inflammatory food. Not only will it help with the pain and inflammation of your canker sore, it will also help to speed up the healing significantly. Simply dab some organic coconut oil on the affected sore(s) as many times throughout the day as possible for some quick and welcome relief. In addition to using coconut oil topically, consuming organic coconut oil internally will help to prevent the occurrence of further canker sores. 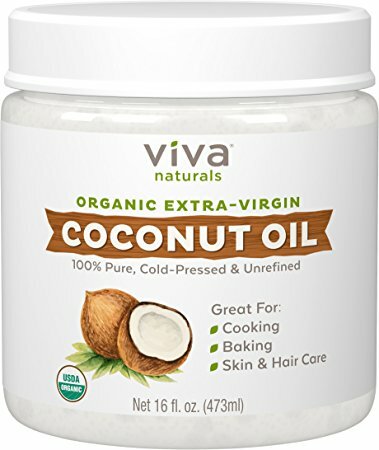 Organic coconut oil is rich in anti-viral nutrients and is one food that gives the immune system a very powerful boost. Make sure you have 2-3 tablespoons of raw, organic virgin coconut oil daily with food. Do this and you’ll never have to bother with a mouth ulcer again for the rest of your life! Just make sure it’s raw organic virgin coconut oil and not the processed varieties. This is probably one that your grandma used. Both cloves and ginger are potent healers and pain soothers. Either cut a whole clove in half and place in your mouth near the canker sore for 20-30 minutes or dip a Q-tip in some clove oil (which is an excellent toothache remedy also) and apply directly to the affected area. With the ginger, either cut off a slice of fresh ginger and place near your canker sore (doesn't need to be on the canker sore, next to it is fine) or moisten the tip of your finger and dip it into some ginger powder. Apply and hold on your canker sore for a couple of minutes. One of the main underlying causes of canker sores in both adults and kids is an overgrowth of bad bacteria in the body (candida or yeast fungus). If you regularly get yeast infections AND canker sores then this is a dead giveaway. To rectify this, you need to make sure you're taking in plenty of beneficial bacteria (probiotics) every day. Get yourself a good quality probiotic supplement to take every day and start eating plenty of natural yogurt (natural yogurt is rich in the lactobacillus beneficial bacteria). Natural yogurt can also be applied directly to any fresh canker sores for some added pain relief and faster healing as well. And remember this... you can never have too many of these good gut bacteria so don't be afraid of overdosing. In fact, the more you have the merrier! Here's a handy website on how to culture your own natural yogurt (the best kind), along with how to make other probiotic rich foods such as kombucha, sauerkraut and kefir... Cultures for Health. You definitely need plenty of immune boosting and healing nutrients if you want to keep those awful canker sores away for good. Rather than taking a multi-vitamin & mineral supplement, a much more effective strategy is to take the blue-green algae known as chlorella. Broken cell wall chlorella contains all the immune boosting nutrients your body needs, along with powerful antioxidants and essential chlorophyll, in a highly absorbable form. With most multi-vitamin and multi-mineral supplements the nutrients are synthetic and not overly absorbable (hence why your urine turns yellow - you're literally peeing them down the drain!) With chlorella though, nothing is wasted. You can check it out here if you're interested... Broken Cell Wall Chlorella. For dosage amounts simply follow the directions listed on the container. NOTE: Taking chlorella together with a probiotic supplement is even more powerful as the good bacteria need a sustainable food source - and the chlorella is a perfect food source for them (prebiotic). Combining the two improves the uptake of probiotics into your body a thousand fold... so be sure to do this! So there’s our top 10 natural remedies and treatments for mouth ulcers. Don’t forget too that eating healthy is also a vital part to healing a canker sore quickly, along with preventing more from popping up down the track. Refined and processed foods, particularly refined sugars from sweets and soft drinks/sodas, along with junk foods, are amongst the worst for lowering your immune system and causing canker sores. So these foods are best kept to a minimum. Plenty of fruits, vegetables, nuts, seeds, herbs and grains are what you need to stay healthy and boost your immunity. This newsletter article also has some excellent tips on ways to boost your immune system and keep it healthy… Take Your Health to a Whole New Level With These Powerful Immune Boosting Tips! We recommend you take the time to have a read.